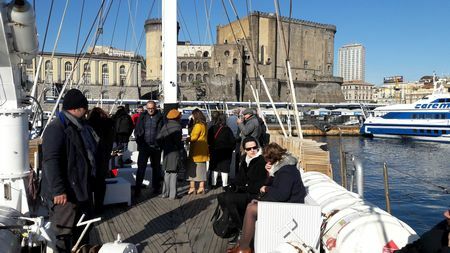 The Blue Growth Community, driven by the InnoBlueGrowth project (Interreg MED), held its second transnational event on Blue Energies in Naples on 27-28 November. Organised by the CPMR’s Intermediterranean Commission (IMC), a partner in the InnoBlueGrowth project, the event on “Innovation for the development of blue energies in the Mediterranean” brought together a range of stakeholders, including regional policy makers, researchers, academia, NGOs and the private sector. Awareness raising in education to explain blue growth and energy potential to schools and universities. 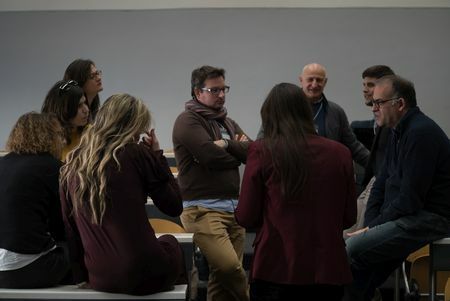 After presenting their preliminary results, representatives from the MAESTRALE and PELAGOS projects joined participants for discussions on the key themes involved. The aim was to identify the most pressing issues, gaps and priorities, and three main targets to address key messages in the follow-up of the event. Awareness-raising discussions were also held, including the need for thorough integrated coastal zone management and maritime spatial planning. This would allow the enhancement of the Blue Growth sustainable component by identifying opportunities for collaboration between sectors, driving forward multi-level and multi-sector cooperation, minimizing conflicts of uses, and preserving the oceans and marine resources. The debates then moved to the environmental impact that marine renewable energy infrastructures, particularly wave systems, can potentially exert on the marine environment and ecosystems. These include the alteration and creation of new habitats, sound and electromagnetic waves, and the presence of foreign species in some areas altering the life of indigenous ones. It should be noted that research and data still need to be produced around these infrastructures to concretely evaluate their potential impact on the environment and the response of the latter. Pre-impact assessments must therefore be carried out. Finally, participants focused on sectoral training and education, highlighting varying expectations regarding skills and the gaps that still need to be tackled to create jobs and have a more qualified workforce regarding all above-listed issues. The event followed the second day with a field visit that provided perspective for the meeting’s discussions. Participants visited a wave energy pilot plant inserted in the breakwater infrastructures of the Port of Naples. The idea of this pilot is to evaluate the plant’s cost/benefit of generating energy for the port itself, and to consider whether the use of existing processes (such as breakwater) can lower overall building costs. Other activities such as a speed-dating were organised after the meeting to strengthen the links between all participants and encourage new ways of collaborating in the future. Gathering comments from both projects and external stakeholders through this community building exchanges helped draw some lines regarding the future development of InnoBlueGrowth. 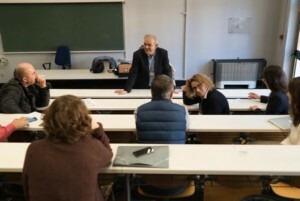 These orientations aim to be aligned with Interreg Med’s priorities and the updated needs of the projects and participants regarding blue energies. A technical and policy report will be published as a result of the “Innovation for the development of blue energies in the Mediterranean” event. 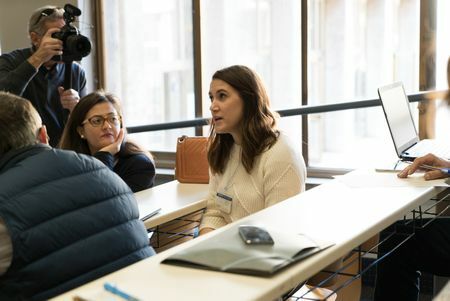 This will feed into the Interreg Med and InnoBlueGrowth mid-term events, to be respectively held on 18-19 April, 2018 in Rome, and in November 2018 in Barcelona. For more information on InnoBlueGrowth and the MAESTRALE and PELAGOS projects, check out the website of the Blue Growth Community. Also join us on Facebook and Twitter!